At the end of age 83, he wants to have $1 million to leave behind for his loved ones or use it for himself if he lives longer. How does an investor make investing decisions? Take a peep at what goes on behind an investment strategy. From age 59 to age 83, David will receive a monthly income (adjusted for 3% inflation). A portion of it will come from the income bucket which provides the safe retirement income floor. The rest of it will come from drawing down from bucket 1. Bucket 1 will contain enough cash to drawdown for only 5 years. Once the cash is depleted, cash from the rest of the buckets will be transferred in, at the end of their investment period. The “buckets” or portfolios are invested as shown in table 2. The way the portfolios are invested is based on the principle that for portfolios with higher expected returns and risk, you need a longer time horizon. Our near 2 decades of investment experience also tells us that the best way to get these returns is to stay invested and not time the markets. As such we do not change these allocations in the short term to react to market news, like the recent Brexit and US Elections. These decisions have served our portfolios well. In executing such a philosophy, we also need to find suitable instruments to execute it. In our previous article, I explained why we use Vanguard Index Funds. In this article, I will explain why we use funds from Dimensional Fund Advisors (DFA). Previously, we showed that most active managers cannot beat the markets and for those that do, they cannot do it consistently. One reason is that many fund managers simply may not have the skill required to beat their benchmarks over the long run. Even if they do, because of the high fees they charge, it eats into the returns for investors and results in underperformance. Moreover, while there may be fund managers who may have the skill to beat their benchmarks consistently net of cost, identifying who they are is a challenge. As such, we prefer to use low cost index funds to do the job for our retiree clients. So why did we choose to use DFA then? The uniqueness of DFA is that they really straddle between actively managed funds and indexed funds. Like indexed funds, they are broadly diversified. One of their funds, the Global Core Equity Fund invest into about 6500 companies. Like indexed funds, they do not time the market because they believe that price is efficient and as such do not trade in and out frequently and thus incurring high cost. But like actively managed funds, DFA picks securities that give a higher expected return. The difference is that they only pick those that show evidences of a higher expected return that are persistent across time periods, pervasive across markets, sensible and cost-effective to capture. These evidences are based on academic research by scholars in the likes of Nobel Laureate Eugene Fama, Kenneth French and many others. Many of them act as academic consultants, board of directors or investment policy committee members to DFA. It is one thing to be able to discover great investment ideas, it is another to be able to implement it effectively and efficiently while keeping cost low. DFA achieves it by firstly avoiding the need to buy and sell a security because of price targets. They keep the security as long as it continues meet their criteria and even if they need to buy or sell, because they invest in thousands of securities, they have choices and do not have to chase down any single security. And because of their size (they currently manage over USD400 billion), they have great economies of scale. On average, annual management fee for DFA funds is at 0.3% p.a., similar to an indexed fund. The average annual management fee for other equity-based unit trusts in Singapore is a whopping 1.65%. But at the end of the day, it all boils down to performance. We chose DFA for our retiree clients because they have done well. Chart 1 showed the performance of one of the DFA funds since inception. It has consistently done better than the index over the long term and at a cost similar to an indexed fund. When you invest your money, don’t just focus on the returns. Find out why. But perhaps, the greatest risk retirees face is the risk of not having a second chance again. 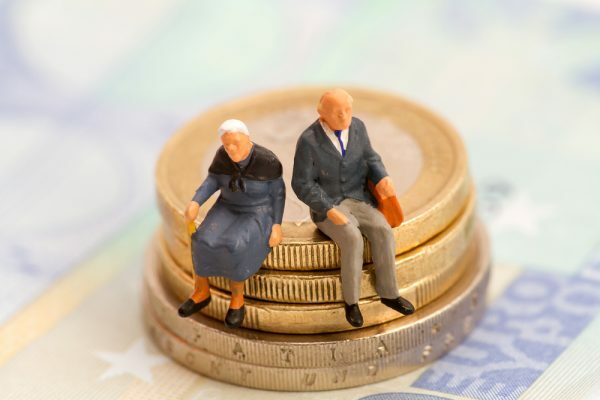 If their retirement monies are mismanaged, because of their age, the cessation of their earned income or even their poor health, they might not be able to accumulate a sufficient sum for their retirement again. While the RetireWell methodology mitigates all these risk via the bucket approach of financial planning, for it to work, we need to use appropriate financial instruments that are evidence-based, good performance track record and is sufficiently low cost enough to give retirees a reliable income stream. This article is contributed by Providend. As a family of people driven by passion, we exist to serve our families of clients to fulfill their dreams and achieve their life purpose by providing them with the most honest, independent and competent advice. Christopher is the Chief Executive Officer and Co-founder of Providend Ltd and has close to two decades of experience in the wealth management and financial planning industry. He is a member of CPF Advisory Panel and often featured in media for his expert opinion on financial matters.